Health Secretary Jeremy Hunt has been criticised for his inaction over the “horrific victimisation” of a whistleblower doctor at Croydon University Hospital. The Conservative MP, who spoke to directors during a visit to the hospital yesterday, has remained silent over the case of consultant cardiologist Kevin Beatt, wrongly sacked for raising concerns about patient safety, despite being urged to intervene three months ago. Dr Beatt led the hospital’s well-respected cardiac catheter laboratory until he was fired by Croydon Health Services NHS Trust in 2013 after criticising hospital management. An employment tribunal ruled in October last year he had been unfairly dismissed for whistleblowing on patient safety and staff bullying. An appeals tribunal subsequently found Croydon Health Services had no grounds to appeal the judgment, but the trust has refused to drop the legal fight and hopes to have that ruling overturned. David Drew, a doctor who has campaigned for better protection for NHS whistleblowers, wrote to Mr Hunt in January urging him to launch an inquiry into the trust’s treatment of Dr Beatt. But Mr Hunt, who in February pledged to end a culture of bullying and intimidation among NHS directors, has not responded and this week claimed he was not aware of the case. In a strongly critical second letter to the health secretary, Dr Drew wrote: “Your own silence on this matter speaks volumes. In February, Sir Robert Francis QC published an independent report on NHS whisteblowers, who he concluded were bullied and intimidated amid a “climate of fear”. Following its publication, Mr Hunt, who commissioned the review, told Parliament: “The whole House will be profoundly shocked at the nature and extent of what has been revealed today. He added: “Dr Beatt should be exonerated, reinstated and receive a full apology from the managers responsible for his mistreatment. 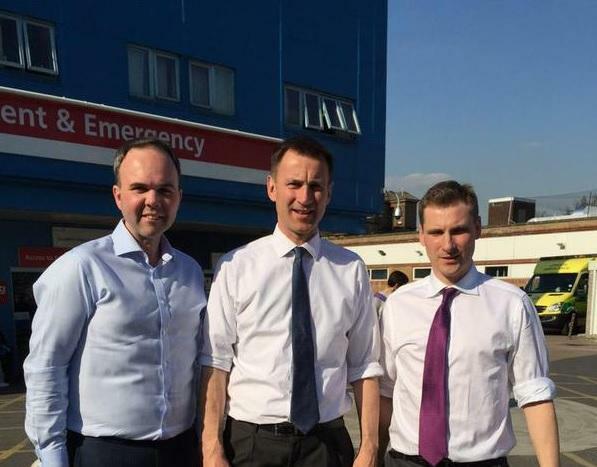 Mr Hunt, who met with Croydon Health Services chief executive John Goulston and chairman Mike Bell on Tuesday, declined to comment on the case. Speaking after the announcement of £21m funding for the hospital’s new A&E department, he said: “It is difficult for me to comment on an individual case because I don’t have all the details in front of me. “But certainly the conversation I have had with management today is very much about culture change and creating a culture where staff feel better supported to speak out about concerns. This is not something that matters just for Croydon University Hospital, it is a matter for all NHS trusts. Asked if he would consider intervening in Dr Beatt’s case, he said: “I can’t comment on this particular case but there are cases I have got involved in. 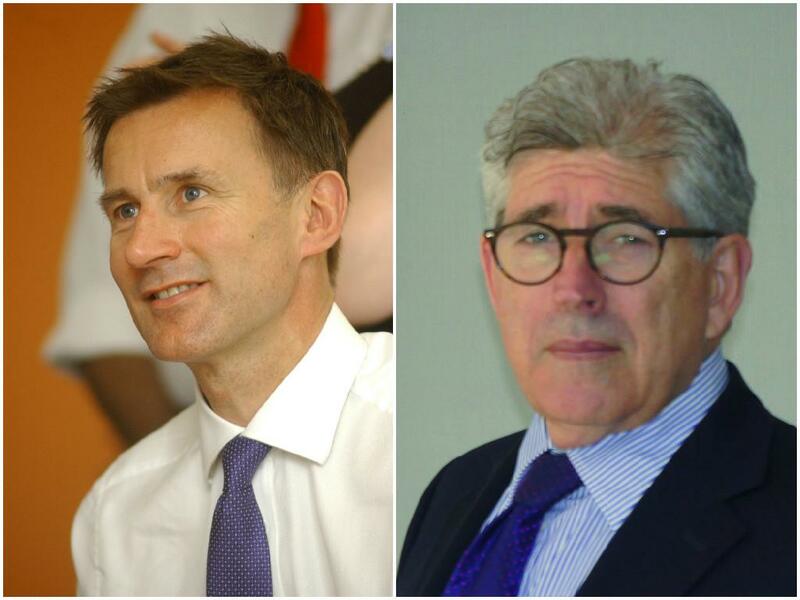 “I met a whole group of whisteblowers before [Sir Francis’s] Freedom to Speak Up review and I hope whistleblowers have recognised that I’ve done more than any other health secretary in the past to try to improve the culture to make it easier to speak up. 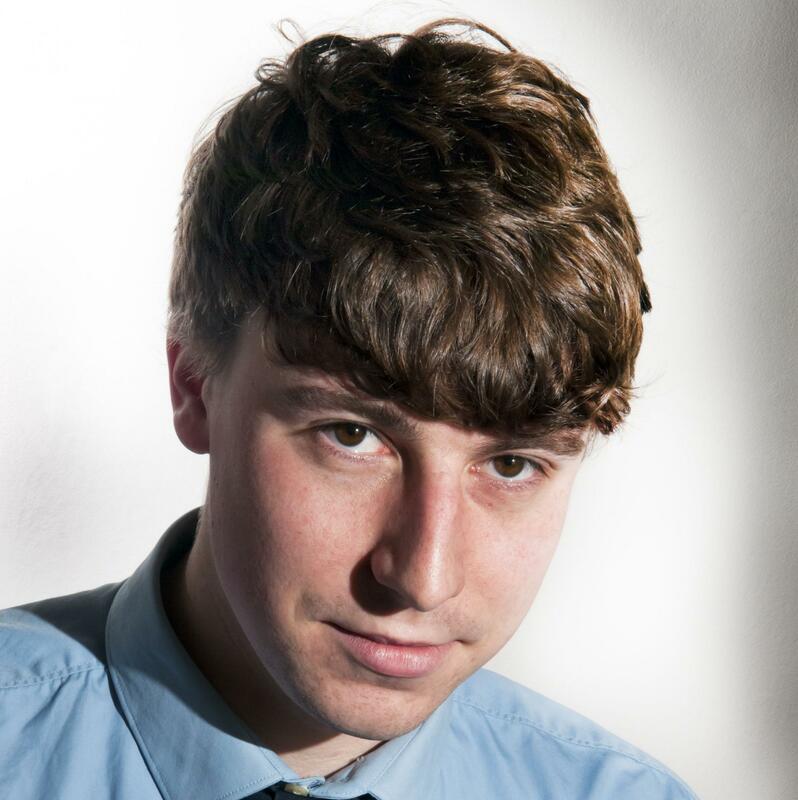 The General Medical Council last month dropped its investigation into Dr Beatt, who the employment tribunal ruled been “maliciously” referred to the regulator by Croydon Health Services. Last month, Prime Minister David Cameron stepped in to prevent whistleblower Dr Hayley Dare being saddled with £100,000 costs after she lost her case against West London Mental Health Trust on a technicality. So what happens about the GMC’s MALICIOUS referral? Do they just walk away from it and crawl back under their stones? I lost my job after overturning a ‘malicious’ gross misconduct accusation that was nothing more than the product of fertile imaginations, colluding together in secret, with absolutely NO comeback for the crooked managers who levelled it. Obviously it’s one rule for the targetted whistleblower and a diametrically opposing one for featherbedded managers and overpaid suits. Whistleblowers look to improve the quality & economy of the NHS, when they do this they are victimised, is bullying within the workplace acceptable? It seems from what I am reading, they lose their jobs, have to go through a tribunal and in very many cases they are not reinstated. What happens to the people that are neglecting or taking advantage of their positions within the NHS, are these incidents investigated or allowed to continue. If any Retail sector used this system, they would end up bankrupt, the system is not fit for purpose, it needs restructuring which would save the NHS £0000’s. Where is the intelligence, fairness, justice and balance to deal with this economic problem. I agree with ‘Wirral in it together’ the perpetrators of the GMC referral MUST be investigated for defamation – Well Done Kevin and to all those fighting NHS cover-ups especially WB’s ps Well done to the Judge who saw through the corrupt Croydon overpaid Managers who tried to their best to tarnish, they MUST be investigated and disposed off. This will prevent other NHS overpaid Managers/HR staff members colluding and conspiring to support their incompetence for not dealing with complaints from caring and devoted staff.